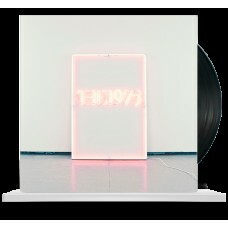 180 Gram WHITE Vinyl of 4 track 2012 EP includes DL..
BEAUTIFUL YET SO UNAWARE OF IT: 180 Gram CLEAR Double LP includes DL..
180 Gram WHITE Vinyl of 4 track 2013 EP includes DL..
Music For Cars (12 Single)"
180 Gram WHITE Vinyl of 5 track 2013 EP includes DL..
180 Gram WHITE Vinyl of 5 track 2012 EP with unlisted song includes DL..
2ND HAND and GUARANTEED : (VG+) U.S. PRESSING.. Double LP with inner sleeves of 2019 album includes DL with J. COLE, CHILDISH GAMBINO, POST..
Remastered Double LP of UK industrial post-punk 1982 debut, '81 12 and Peel Session"..
AS NEW - 2ND HAND and GUARANTEED: Oz Hip Hop..
Gothic pop by UK sisters like CURE, SCHOOL OF SEVEN BELLS, LADYTRON etc..